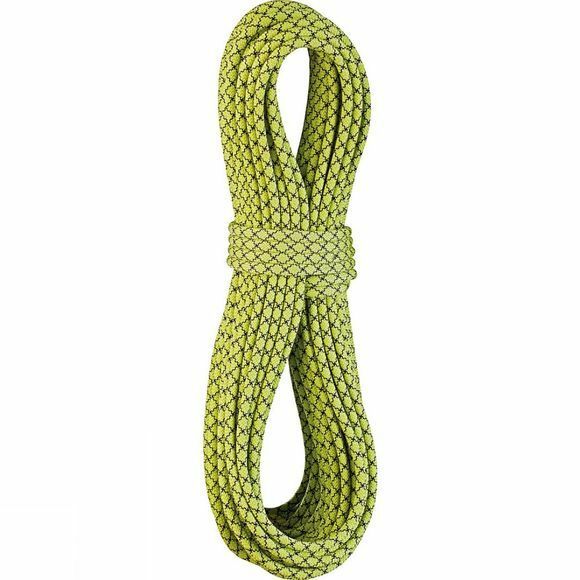 The Swift Pro Dry is a single rope, half rope and twin rope all in one. With its 8.9-millimetre diameter, it is one of the skinniest single ropes on the market. It has been given a Thermo Shield treatment to increase suppleness and improve handling, and also has a Pro Dry finish that repels dirt and water. Please note that this rope is not suitable for working routes or top roping.